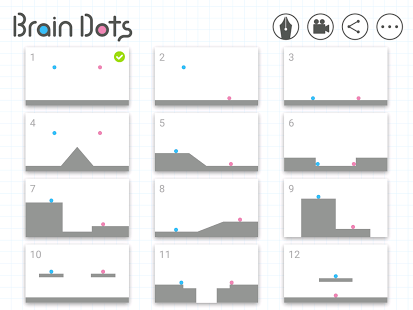 Brain dots by Translimit, is so addicting and so satisfying. Do whatever it takes to get the 2 dots to meet and touch. Draw various shapes and structures such as ramps, hills, bouncy lines… the options are endless. Let your imagination run with all the different solutions you can draw up. Think outside the box! Levels look easy but you will soon realize it is harder than it seems so victory will be that much sweeter. 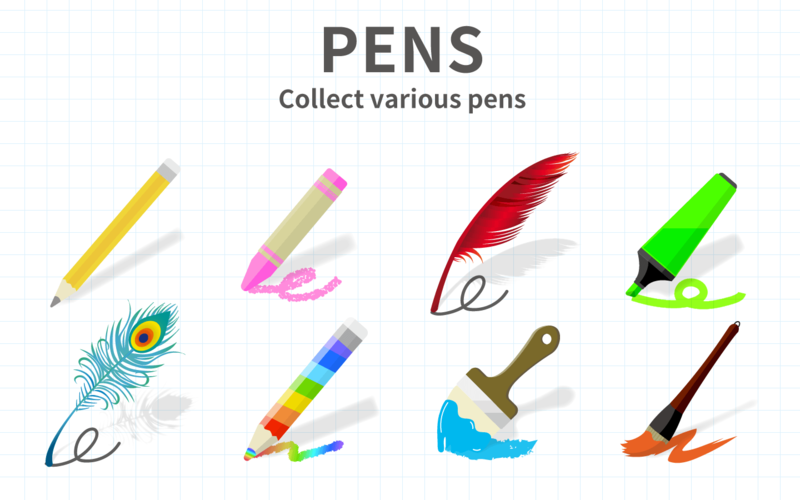 As you progress, you will be able to obtain different pens and pencils that come in different shapes, sizes, and colors. -Simple straight forward concept with clean design. -A great game to exercise your brain. Test your senses of logic, your ability to visualize, and challenge yourself to think ahead. -Casual. You can pick up from anywhere you left at any time. -Crashes. Some crashes are unexpected and some happen at certain times… Like when you choose a pen. (Depends on device). All the cons are pretty typical for most games and apps and that’s what you get when you get the free version. Also, by this being a mini/casual game, it’s not really the end of the world if it crashes, though if the crashes happen quite often then that is a different story. Brain Dots is available at the Google Play Store.